Sylvia Franklin - PETAL et al. 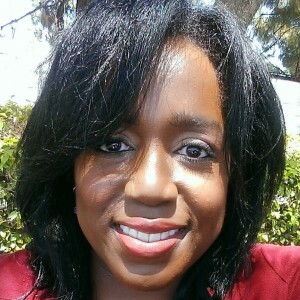 Sylvia Franklin, Business Strategy Consultant has spent the last decade honing her storytelling, producing, programming, strategic marketing and analytical skills in virtually every facet of the media. Franklin has worked with David Milch (HBO’s DEADWOOD) as a participant in his drama writing workshops for television, she was also a 2002 Guy Hanks and Marvin Miller Writing Fellow (also known as the Cosby Program). Further, she was also a 2004 finalist in the Disney-ABC Writing Fellowship, and a semi-finalist in the 2012 program. Franklin has also taken leadership roles in several organizations including the Writers Guild of America West (WGAW) — where she functioned as Chair of the Committee of Black Writers. Not only has she served as president of the Organization of Black Screenwriters (OBS), Franklin joined the Board of The Association of Women Journalists (AWJ), heading efforts in creating their own online TV network – AWJ-TV, as well as becoming a member of the National Association of Black Journalists (NABJ). Franklin’s credits include working as a script coordinator for network TV dramas including FOX’s PRISON BREAK, TNT’s RIZZOLI & ISLES, DALLAS and WGN’s OUTSIDERS. She was also a staff writer for the NBC drama MEDICAL INVESTIGATION. Franklin is expanding her professional palette with entrepreneurship, combining storytelling, technology and digital strategy. She’s created and produced two reality show pilots — CHICK ScHTICK and REAL MEN COOK IN THE KITCHEN, and is the co-executive producer of the webseries pilot, THE OTHER DOOR. She’s also developing a number of properties which can be accessed on multiple screens. Franklin is the co-producer of the award-winning independent feature THINGS NEVER SAID now available on Amazon.